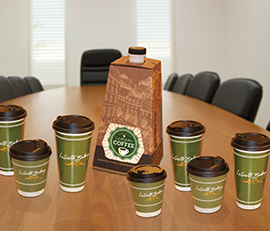 Let LaSalle Bakery help plan your next business meeting, occasion or special event! 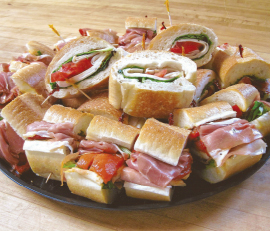 The corporate catering menu offers breakfast and lunch options, including pastry platters and sandwich platters. Don’t forget dessert! 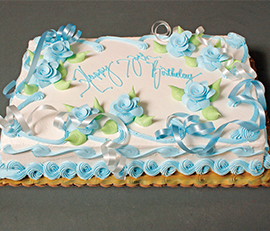 LaSalle Corporate Catering also offers cakes and other desserts for birthdays, promotions or company celebrations. We have options to meet your every business dining need. Delivery charges may vary. Please inquire when placing your order. Call us at 401-226-0704 for assistance. 24 hour notice is preferred. Assortment of cantaloupe, watermelon, and honeydew. Serves 5 people. Assortment of cantaloupe, watermelon, and honeydew. Serves 10 people. and Greek dressing on the side. Serves 5-6 people. and Greek dressing on the side. Serves 10 people. 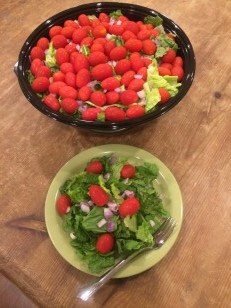 and Italian dressing on the side. Serves 5-6 people. and Italian dressing on the side. Serves 10 people. Coke, Diet Coke, Sprite, Ginger Ale, Orange. Simply Orange Juice, Simply Lemonade, Simply Raspberry Lemonade. Choose an assortment of 12 large cookies. Chocolate Chip, Neiman-Marcus and Peanut Butter with M&M's are available. An assortment of 12 large brownies with or without nuts. Approximately 2lbs (around 35-40 count) of Italian cookies. 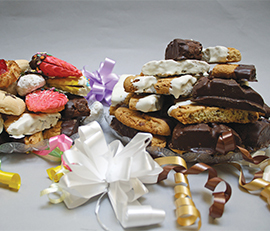 – An assortment of 24 pieces of party pastry, including assorted fruit squares, cupcakes, cookies, and brownies. An assortment of 12 - Seasonal choices offered. All cakes are available in the following flavors: Yellow, Chocolate, Marble or a Layer of Yellow and a Layer of Chocolate. “LaSalle Bakery is known for its unmatched quality in bread and pastries and this reputation is what drove us to consider LaSalle Bakery for our all-staff bi-weekly meetings. This same commitment to quality is carried over into their catering options. 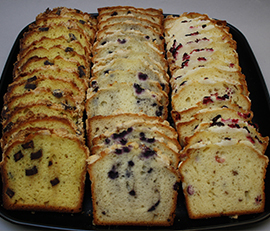 The sheet cakes are a “must-have” for all birthdays, promotions or any event that we celebrate here at TribalVision.